If you have a mole problem that just won’t go away, you’ve come to the right place. At Mole Control HQ we’re dedicated to showing you how to get rid of moles and reclaim control of your yard. If you want to jump straight into the specifics, check out the links on the right. Otherwise, let’s take a look at the types of damage these little critters can cause, and the options you have to deal with them. Moles are creatures which spend most of their time underground. It is often assumed that moles are rodents and eat grain and plants, like mice or rats. However, moles are actually “insectivores” and mainly eat worms, spiders and other bugs. It’s usually an abundance of food that has drawn them into your yard in the first place. Moles have large front claws which are perfect for digging tunnels, and this can be a major problem. If you have a mole infestation you’ve probably noticed mole hills and/or tunnels appearing in your yard. They’re quite hard to miss once they start popping up in your lawn! Moles build networks of tunnels and if they’re underneath your lawn, they can be quite unsightly. How many times have you had to clear away a mound of dirt, only for another one to appear the next day? If you’ve done it once, I bet you’ve had enough. As well as looking terrible, mole tunnels can cause damage to your plants and turf. Often roots will become damaged, drainage can be affected causing plants to dry out and in some cases moles will eat small plants and bulbs. Sometimes, mole tunnels are used by other creatures such as mice and voles to enter your yard. These are creatures which do feed on plants and roots. If these critters get in, it’s not good news – voles can eat a surprising amount in one sitting. If you’re reading this, I’m guessing you have a mole problem. Now what can you do about it? There are two main options and I’d recommend using a combination of the two to tackle the little critters. Firstly, you can try to prevent moles from making your yard their home in the first place. There are various techniques you can use for this, and I’ll discuss them in more detail below. If you already have a mole infestation though, you’ll probably need to be a bit more direct. You’ll need to get rid of the moles, and eradicate them from your yard completely. 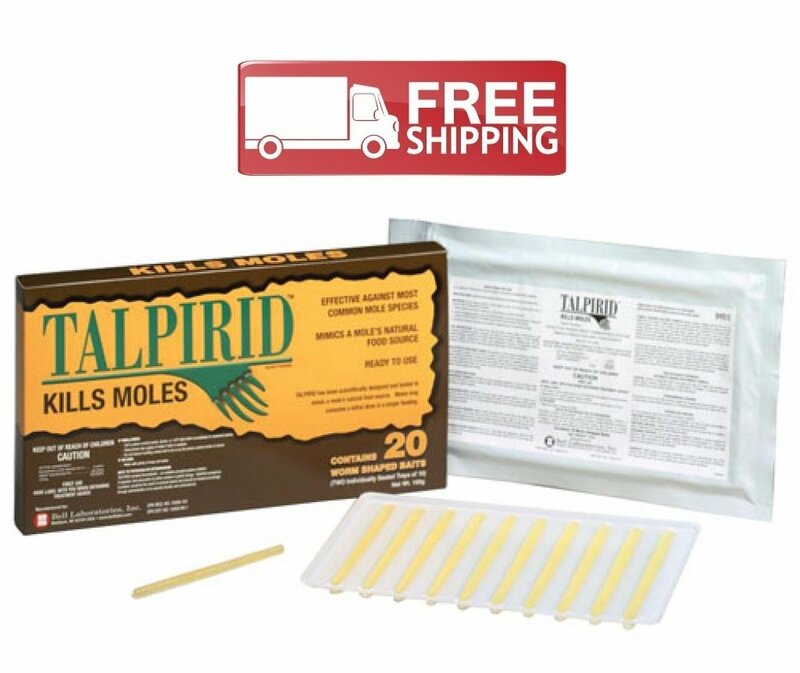 There are quite a few mole repellent products available out there, as well as loads of “home remedies” recommended by many for keeping moles away. Some people swear by using all sort of things from moth balls, human hair and cigarette butts to bleach, broken glass and razor blades. Another common suggestion is pouring castor oil into the ground. Some people even recommend explosives, but I think that might be a bit extreme. I’ve never tried any of the home remedies myself, but I’ve heard very mixed results and certainly wouldn’t recommend you try many of them. There is a good chance that even once the moles are gone, the effects of using some of these “treatments” will be around for much longer, and will make your yard a dangerous place to be for humans as well as for moles. You could try removing all the mole food. One way to stop moles from setting up home in your lawn is to take away their food, or at least reduce the amount of food available to them as much as possible. Moles mainly eat insects, worms, spiders and grubs. Reducing the population of these creatures in your yard should reduce the number of moles in your yard, and may even discourage them from making their home there in the first place. However, this is not an easy thing to do. You would need to use large quantities of insecticide to target the grubs and insects, but even then will struggle to knock out the worms. Earthworms are essential for the good health of your soil (as are many other types of insects) so even if it was possible to kill all the worms in your yard, eliminating them wouldn’t be good for your lawn or plants. Whilst some people recommend limiting the amount of food available to moles as a way of deterring moles from your yard, the process is not sustainable and I would certainly not follow their advice. Another option is fumigation. With this approach gas, often from a gas cartridge, is released into the mole tunnel system. This method is rarely effective though. Mole tunnel systems are usually very long, and require a large quantity of gas to fill them. At the same time, in normal conditions, the soil around mole tunnels is porous and the gas simple leaks away. This leaves just a couple of options for mole prevention. Mole repellers can be an effective solution. There are a few different types, but most are small products which you stick into the ground. They then send out sound waves, which keeps the moles away. The last option is to install mole barriers. These are physical barriers which are buried around the perimeter of your yard. They need to be buried deep enough so that the moles don’t tunnel underneath them, and need to stick out the surface of the ground to stop moles going over the top of them. Obviously, this method is only effective at stopping the moles from coming into your yard in the first place. If you already have a mole infestation, you will need to take care of that too. 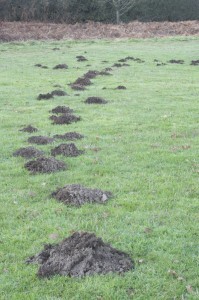 If you already have moles at home in your yard, mole deterrents may not be enough. You need to take more immediate action to prevent the moles from causing damage. Thankfully, there are lots of decent products and methods out there that will help you take care of the problem. If you’d like to try to get rid of the moles without the aid of poisons or traps, you might want to try manually removing moles from your yard. Moles can be difficult to catch, but there are a couple of tricks you can try. Firstly, if you flatten one of the molehills in your yard and wait, eventually, the mole should reappear at the surface. He’ll usually come up in the same place as the first molehill. When you see him at the surface (and you need to be quick for this), you should be able to dig him out. Initially placing a spade in the tunnel behind the mole can be a good way to stop him going underground again and escaping. The second way of encouraging moles to come to the surface is by flooding the tunnels with a hose, although this approach only works with some types of soil. Once you’ve caught the mole, you’ll be able to release it into a more acceptable area for it to make its home. Catching the moles manually can be quite tricky and time consuming. For many people, using poisons or traps to eradicate the moles from their yard is a much more effective solution. One method of eliminating moles from your yard is to use toxicants, or mole poisons. There are various poisons available which can be injected into the mole tunnels. A popular form of poison is mole bait. 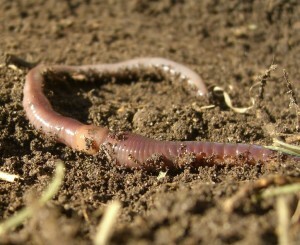 These are usually products shaped like worms or grubs, which imitate the moles natural food. These can all be dropped into the tunnels so that when the mole comes along, he thinks the bait is a worm and starts to eat it. This will turn out to be the moles last meal. For the ultimate guide to mole poison, including an interactive comparison chart, have a look at our mole poison page. 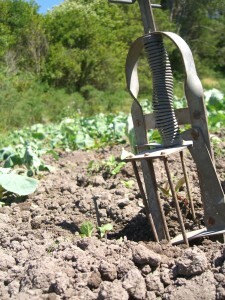 Many people say that trapping is the most effective method of mole control. It is especially good because this approach means that you don’t need to be out in the yard on the lookout for moles all day long. You can just set the traps and leave them ready to catch the moles whenever they reappear. There are three main different types of mole kill traps (harpoon, choker and scissor), which are all slightly different. All of these three types can be effective as long as they are placed in the correct positions to catch your moles. If you would rather not kill the moles, there is another type of trap, a pit trap, which keeps the moles alive and allows you to move them into a more suitable living space. Whilst mole traps can be effective, there are also downsides. They can be dangerous, especially when there are children or other animals using the yard. Positioning is absolutely crucial to ensure they are effective, and getting this right may take a few attempts. I’ll go into more detail on the mole traps page, so have a look there if this is the approach you want to take. So, there are quite a lot of options available to you for getting rid of the moles from your yard. I’d personally recommend a combination of trapping (to remove the immediate problem), and some form of deterrent such as a mole barrier (to stop moles from coming back). There is plenty more information on this site about how to take the next step in getting rid of your moles, so keep reading if you’d like more details. If it all seems a bit too much and you don’t want to go with any of the methods discussed above, don’t worry! There are professional pest controllers all over the country who will come in to remove the moles successfully. Have a look at local listings for pest controllers, and read some local reviews for advice on which pest control companies would best suit your needs. Each mole has its own tunnel network. It's not unusual for each tunnel network to be longer than 70m.